Curtains are an important part of our home decor and they give style and grace to our home. Like any other decor accessory, when buying curtains we give a lot of attention to the color, the fabric and whether they go with our furniture and the color of the walls perfectly. But with the passage of time, we give least attention to them in terms of their cleanliness and hygiene and we keep on delaying and do not put any effort in cleaning or maintaining them. We simply do not notice them and even if we notice them, we ignore and avoid getting into any hassles for ourselves. 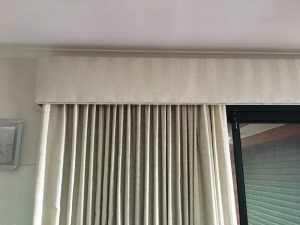 Our curtains are expensive and delicate and we just do not have the knowledge of how to go about the cleaning process and what kind of materials to be used. If the curtains are heavy or double lined, we dread the thought of going through the cleaning process. If we think of hiring any professionals for the curtain cleaning process, we are not sure about the reliability and the costs. Is machine washing good for the curtains? Curtains are not like any other piece of cloth that you can hand wash or machine wash without paying proper attention to the details. Usually the curtains bear a label with washing instructions which need to be carefully read and followed. The labels clearly tell whether we need to wash the curtains in lukewarm or normal water. They also indicate whether the curtain should be hand washed or can be put to a delicate machine cycle. It’s very important to follow these instructions, otherwise it may lead to shrinkage of the fabric or even lead to discoloration, hence ruining the curtain. 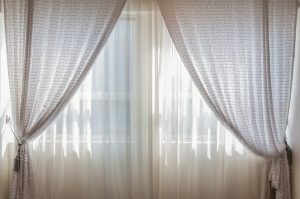 Cotton light weight single lined curtains can be machine washed using a delicate cycle, if there is no other specific instruction on the label. If the curtain is made of lace or is a sheer fabric, it’s better not to put it in the washing machine. Rather, such fabrics should be very gently hand washed using a mild detergent. On the other hand, if your curtain is heavy or double lined, putting it in the washing machine is not at all a good idea. It’s always better to get them dry cleaned or steam cleaned by professional curtain cleaning company with a good track record and professional and experienced staff. Curtains cannot be taken and simply put to washing at home like other clothing. There is a great effort involved, a lot of knowledge required for the kind of cleaning product to be used on a particular fabric, and a lot of risk involved of shrinkage and discoloration. Hiring good quality curtain cleaners is always recommended because they have latest equipment that remove all the dirt and bacteria from the core and also there is no risk of cloth shrinkage or color damage. Good curtain cleaning companies also provide onsite curtain cleaning option so that all you have to do is sit and relax while they do all the work from removing the curtains, to dry or steam cleaning them, drying them and hanging them again with no wrinkles or cloth shrinkage. You can opt for curtain dry cleaning or curtain steam cleaning and they have all the expertise to remove stains and dust and give you fresher and cleaner looking curtains. So, if you have any kind of curtain and want to get it cleaned perfectly, just call us and give your home a beautiful look.